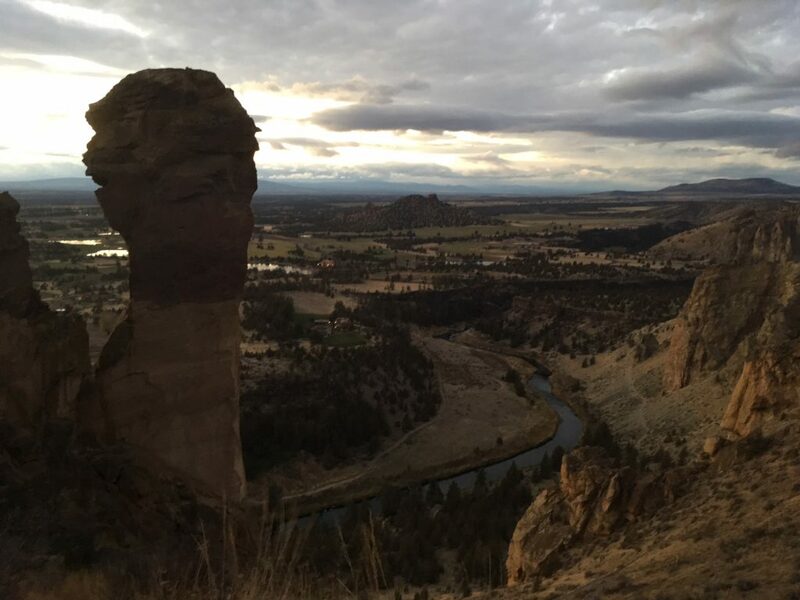 The first image I saw of Smith Rock was a giant tower. It stuck out of the landscape like a monument; a humungous pillar of rock boasting an unusual purple stripe across the upper third with a beautiful rolling landscape as its backdrop. The Monkey. Little did I know that this stunning piece of rock housed the famous route, Just Do It (8c+/5.14c). 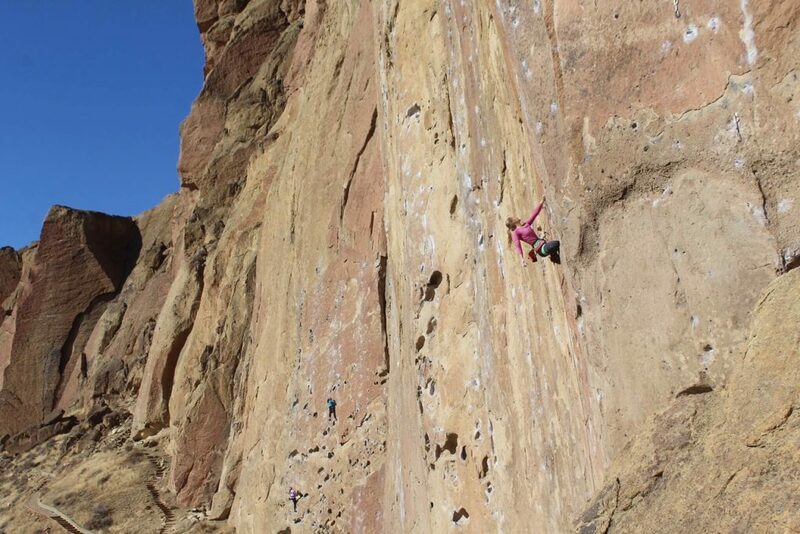 Originally bolted by local climber Alan Watts, it was first climbed by Jean-Baptiste Tribout in 1992 amid a surge in US sport climbing development that engulfed Smith Rock in the 80s and 90s. 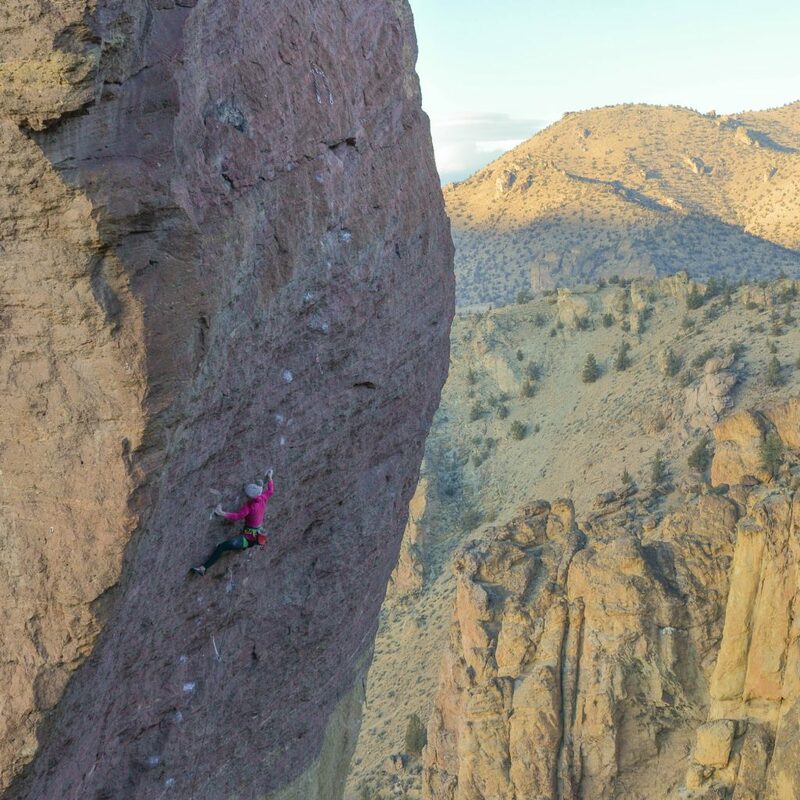 Just Do It was considered at the time to be the hardest sport climb in the US, the first 5.14c. 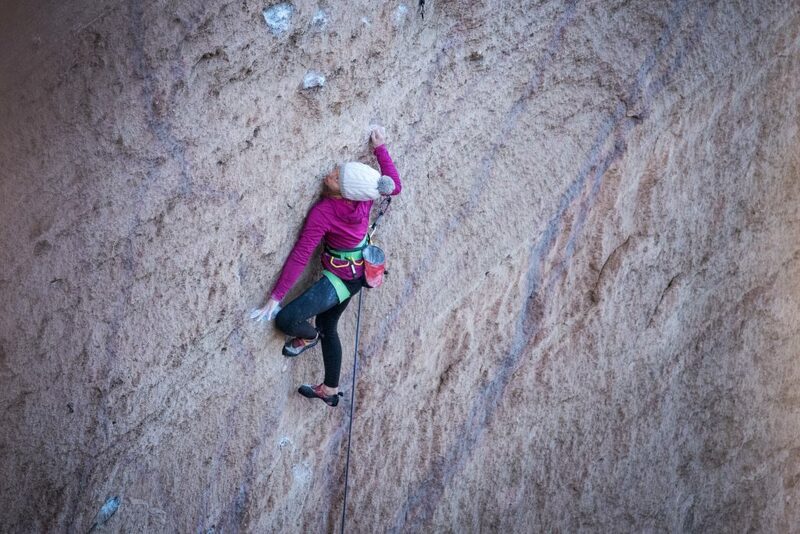 The 40m route takes the North Face of the Monkey and is as varied in climbing style as it is good. The first half (a route in it’s own right) is considered 8a+/5.13c, mostly vertical, very technical climbing requiring fingers of steel and the footwork of a ballerina. If this conjures up an image of technical floaty moves, be warned, it is a surprisingly powerful and a full body affair. The first pitch rewards you with a mega rest, good holds on vertical terrain, an opportunity for the fit climber to regain a lot of energy. From here you are invited to move into the headwall, 3-4 bolts of steeper but relatively steady climbing (around f7b+) bring you into the purple rock and to another good rest, again good holds but this time on overhanging terrain. This is where is gets really hard. Enter a V9 boulder problem; very basic board climbing style moves on very small crimps that are just a little further apart than you would like them to be. The “port-hole rest”, a good pocket with a juggy section for each hand, rewards completion of the boulder. Recover here as best you can before the red-point crux, a twelve-move sequence of moves, a power endurance test at it’s finest. You made it. 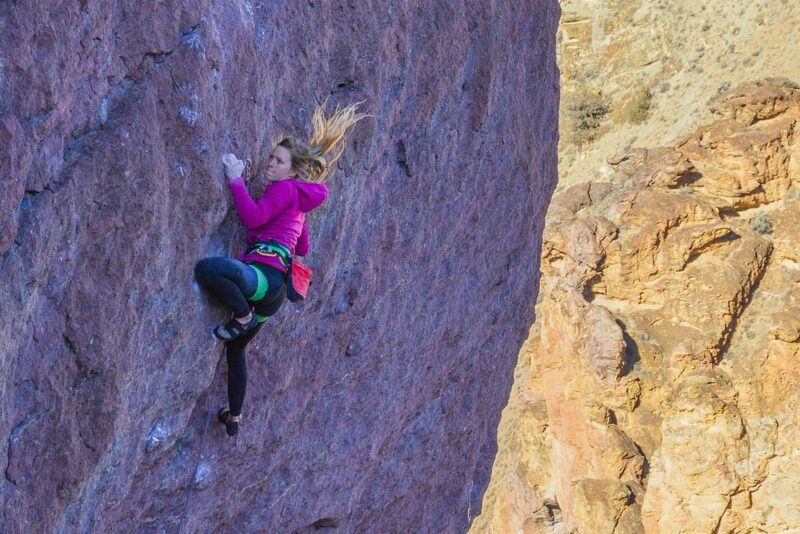 So to rewind a bit, I vividly remember seeing pictures of Paige Claassen on Just Do It when she sent the route in 2014. It lodged somewhere in my mind, a route I wanted to try at some point, a line that couldn’t be ignored. The seed was sewn but I didn’t have a plan. Enter Ted Kingsnorth. 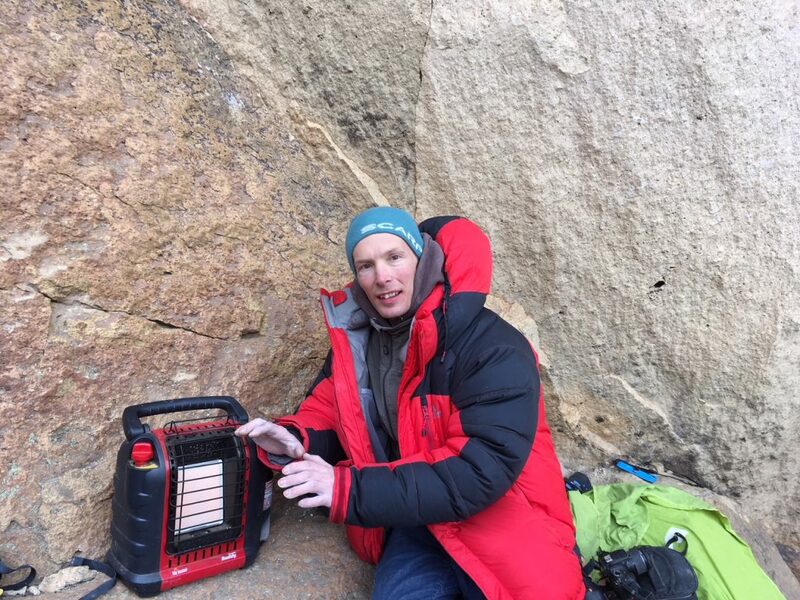 A British climber, prolific on the UK sport climbing scene with many ascents to his name at our cherished home crags: Malham, Kilnsey and Raven Tor to name a few. In his own words, Just Do It is Ted’s lifetime project. 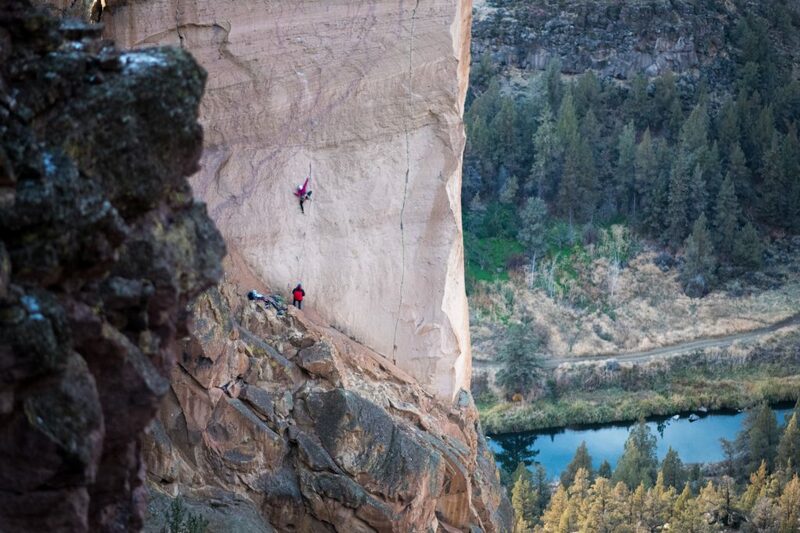 With a few trips to Smith Rock under his belt and a number of the harder classics (such as To Bolt (8b+/5.14a) ticked, he is focussed in on trying to project the jewel in the crown. I was planning a trip to Red River Gorge this autumn. 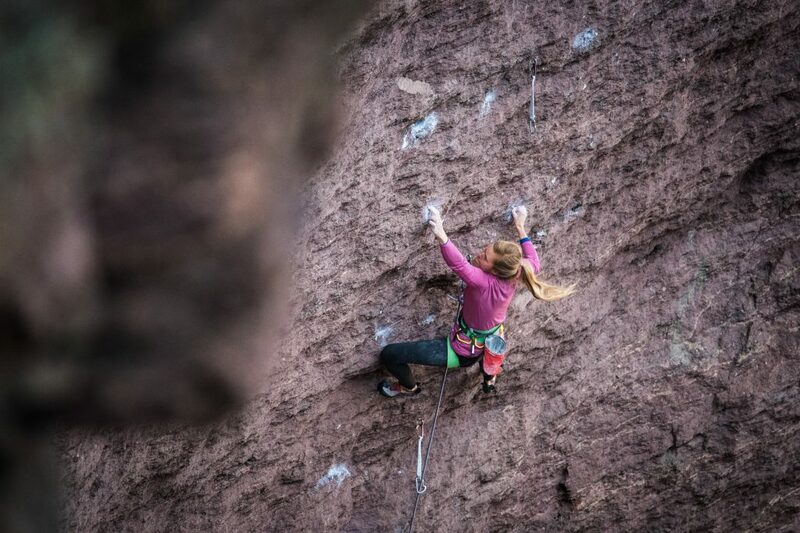 Having been with Katy Whittaker in 2015 when we were both injured and struggling I was keen to return feeling more capable and strong to sample what I knew to be incredible climbing. I didn’t have a partner lined up but I was ready to commit in the hopes of meeting people out there. Just before I booked my flights, I spoke to Ted and his enthusiasm and psyche for Just Do It was contagious, before I knew it I had agreed to go there for two weeks before the Red. Trying something at your limit is tough, even tougher abroad I think. You have to take the risk of not sending, of coming home empty handed. It’s a gamble, putting time into a harder route at the expense of climbing some more classics of the area. But, in my experience, you have to follow your psyche and if the motivation is there for that one hard route, that’s what it is, and the gamble fades into insignificance whether you send or not. It was wonderful to be part of Ted’s process on the route. He didn’t send this trip but he got very close and his commitment, tenacity and love for climbing are tremendously inspiring. The top climbers in the world making quick hard sends is so impressive but I find people like Ted the most inspiring; he works full time, has two weeks of holiday to try his project halfway across the globe but after each red-point he always lowered off with a smile and something learnt, something gained. He will climb Just Do It, it’s simply a matter of time and I can’t wait to hear the news (although slightly gutted not to get the belay tick). Last but not least, a huge thank you to Justin and Andi for housing us during our stay, being so friendly and helping us into an even deeper coffee addiction….the climbing community constantly amazes me with it’s warmth and kindness.